This wired high pressure Merritt BMX "Brian Foster FT1" BMX Tire is a high quality allround BMX tire which is great for street, ramp and dirt riding. The smooth center tread ensures quiet running on the road. 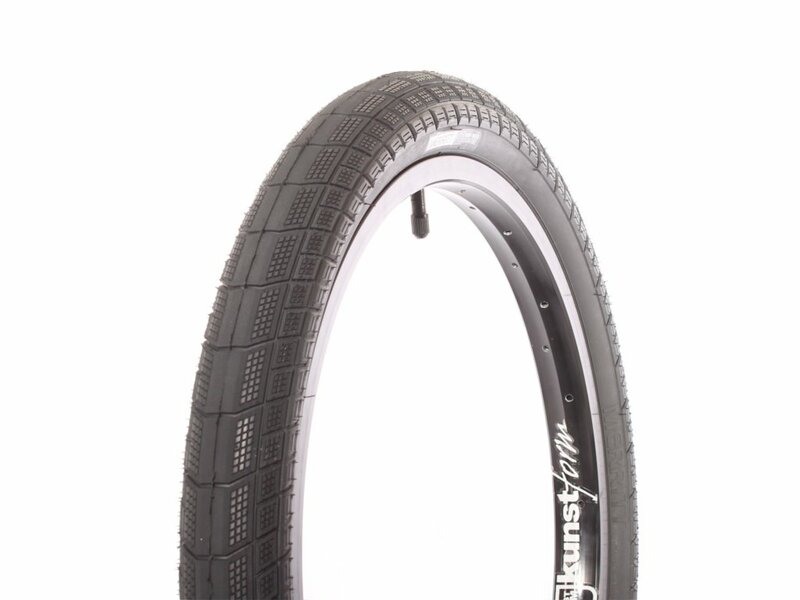 The reinforced sidewalls protect the Merritt BMX "Brian Foster FT1" BMX Tire while grinding and the lateral micro-knobs pattern provides sufficient grip when riding dirt without taking a negative impact on street or ramp riding.